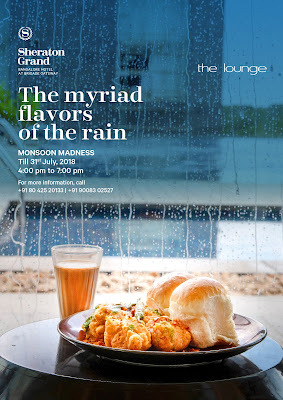 You gotta try it: The myriad flavors of the rain at The Lounge - Sheraton Grand, Brigade Gateway, Bengaluru! 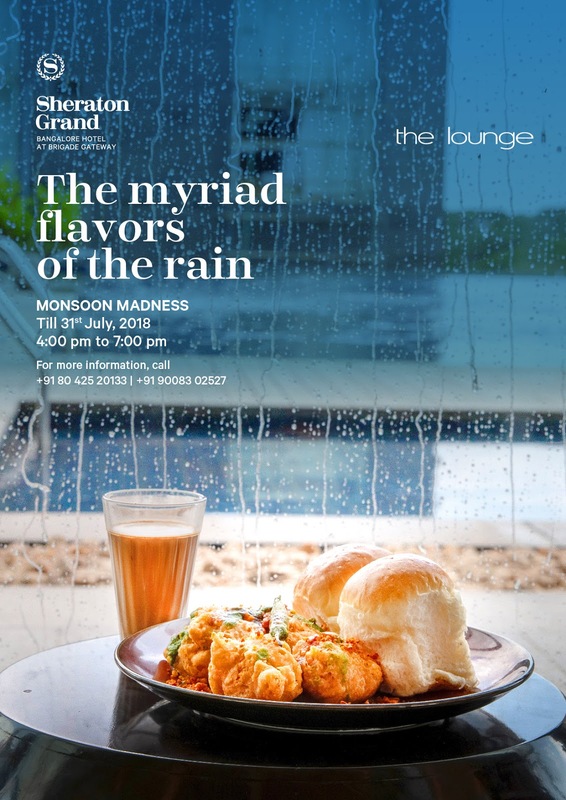 The myriad flavors of the rain at The Lounge - Sheraton Grand, Brigade Gateway, Bengaluru! Bangalore’s food culture always opens its door for global cuisines. 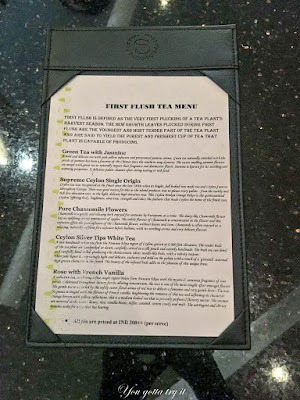 The fine dining realm will always have something interesting for their patrons. 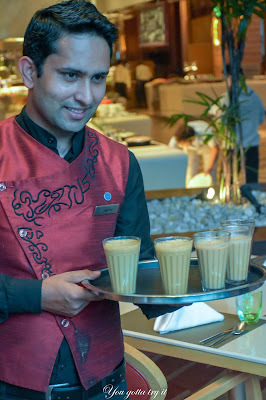 Recently I came across one such experience at the Sheraton Grand, Brigade Gateway, Bengaluru. 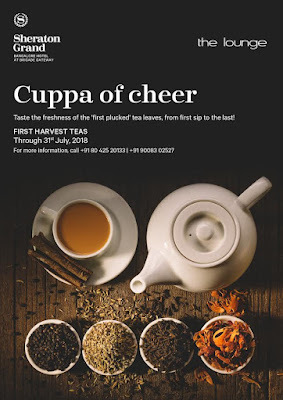 With monsoon in full swing; to enjoy this season to the fullest, the Sheraton Grand has introduced the ‘Monsoon madness’ and ‘Cuppa of Cheer’ menus at The Lounge, which will be exclusively available till the end of July. Most of us have fond memories on Monsoon in India and food plays an important role in every story. 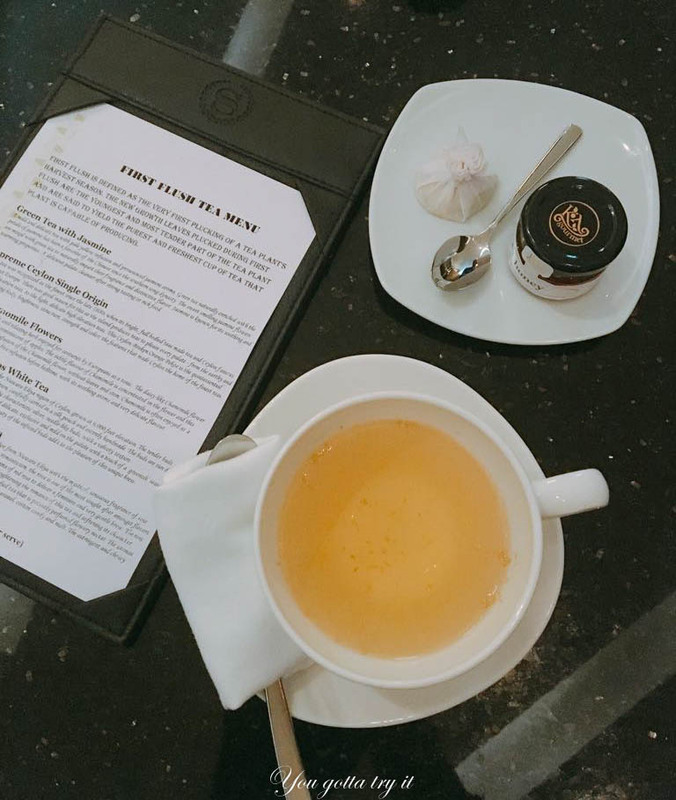 Sheraton Grand’s Executive Chef Anthony Huang has carefully selected each and every dish on this special menu by giving it Bollywood film/song names. 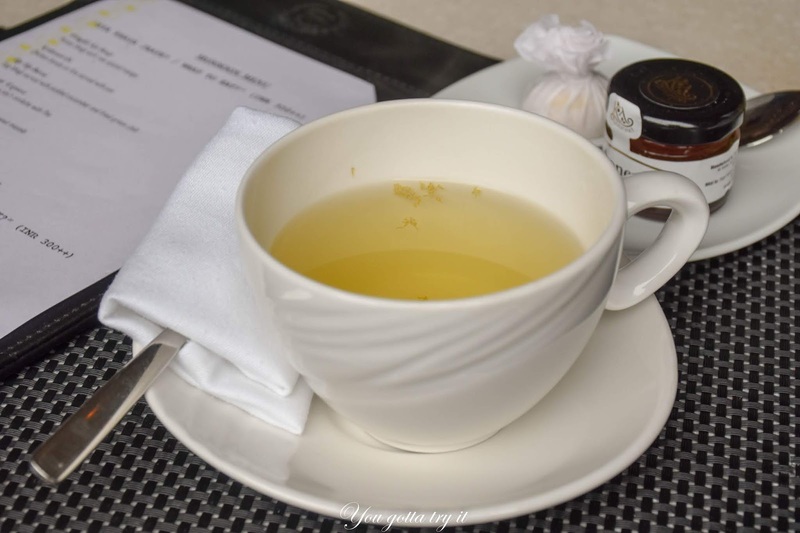 When it comes to rain food the drink which goes well with it will be a perfect cup of piping hot tea. The ‘Cuppa of Cheer’ menu is for the tea lovers as the menu consists of first flush teas from the popular Ceylon (Sri Lanka) brand – Dilmah. This time we were so lucky to meet the sweet and humble Chef Anthony and we had Chai, pakoda and some gupshups. 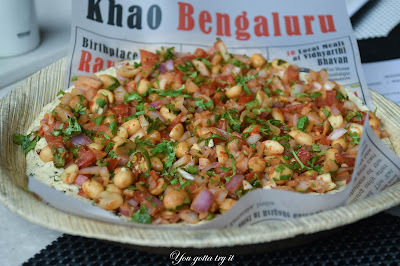 Before air-fryers and health conscious concepts came into the picture, there was a time when we indulged in street food experience without any worries. Chai - Pakoda combo is a match made in heaven. Monsoon was just an excuse to visit the neighborhood snack shop with friends. Nobody used to care about the oil on which they deep fry the fritters. Bajji/Pakoda/fritters are very popular and common food in every state. When I came to know that Sheraton is having a Monsoon special menu, I was very keen on checking this menu. 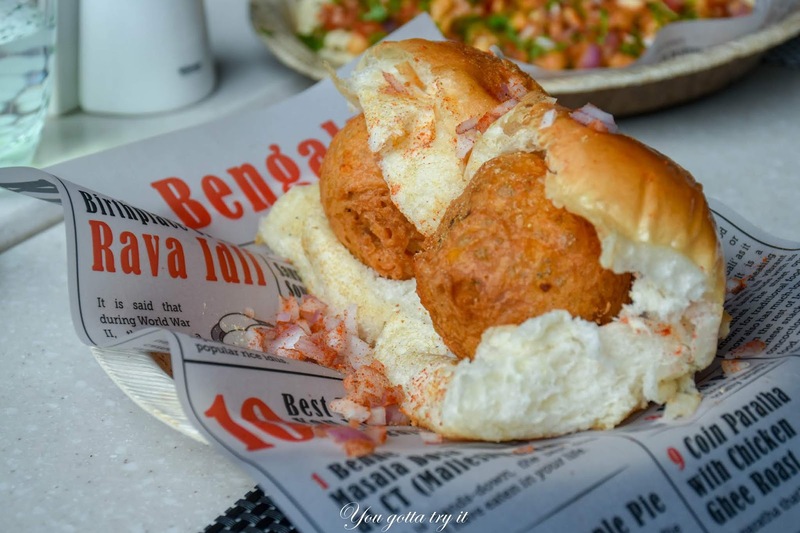 Kolaveri Di – Pav with the stuffing of Chicken Bonda. The pav was soft like a baby bum and the spicy bonda was really flavorful. Fringle’s ka Baap – Potato Bajji with spiced raw mango. This was a super combo. Who can resist eating raw mango with the sprinkle of salt and red chili powder? The bajjis were crispy and had thin slices of potatoes. As it was Street style, there were no accompaniments given with the fritters. Malgudi Days – Instant noodles in Sheraton style. Everyone knows RK Narayan’s famous Malgudi Days and in 90’s our favorite 4 PM snack after the school time was this ‘2 minutes instant noodles’. 2 minutes is just a myth. 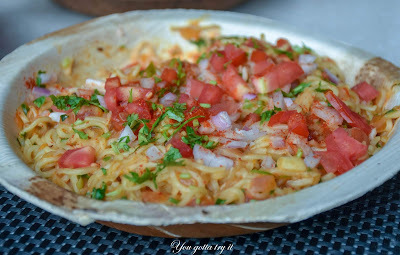 ‘The Lounge’ special noodles made of noodles, onion, tomatoes, green chilies, jeera, coriander and some masala tasted amazing. 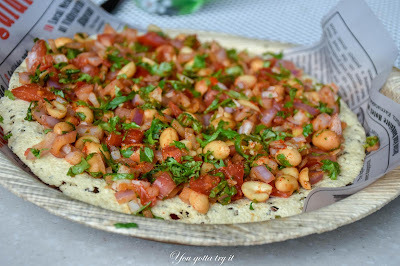 Chatpata – The tasty and classic version of Masala pappad with peanut masala can never go wrong. Tip Tip Barsa – Remember this song from 90’s? Raveena dancing in the rain in yellow saree :P Lol! I really don’t have any clue from where Chefs get these ideas. This name just took us to school time memories. 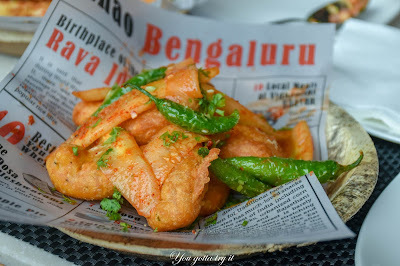 Though I am a diehard SRK fan, I used to hide Akshay Kumar’s photo in my diary :P Tip Tip Barsa is nothing but Egg Bhajji served with pickled cucumber and fried green chili - a must-try dish from the Monsoon menu. Chennai Express – Spicy railway style Omelette Pav was better than the Indian Railway version. 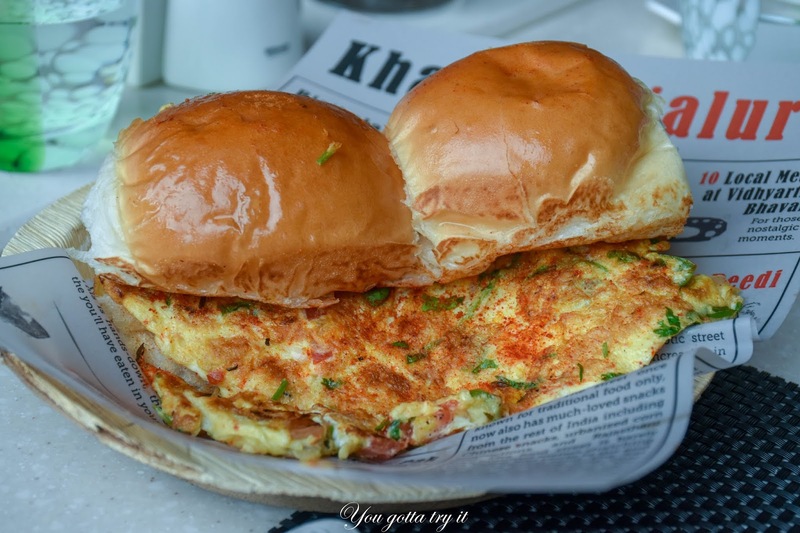 During train journeys, you will surely come across bread omelette or Pav Omelette. 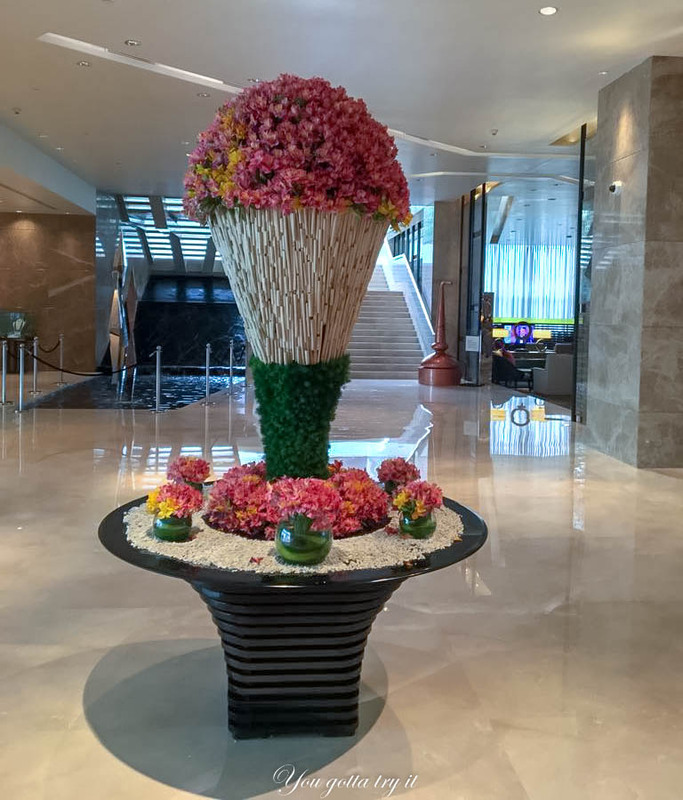 I felt Sheraton’s version is far better than the Indian Railway one. Dabangg – Chilli Bhajji topped with lemon, chili, and marinated onions. Before trying this bhajji I was thinking the movie dialogue of my version – “Thappad se dar nahi lagthe saab, lekin bhajji se lagtha hei” by thinking that the bhajji will be spicy. But it had balanced flavors and was not that fiery as I was expecting. 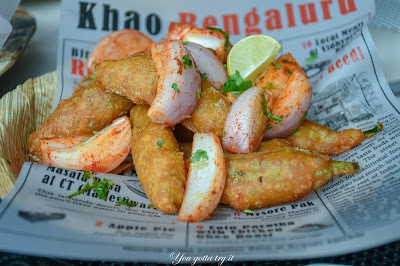 With this delicious fritters, one can only think about a cup of strong masala tea. They have included popular tea and coffees in their Monsoon menu. 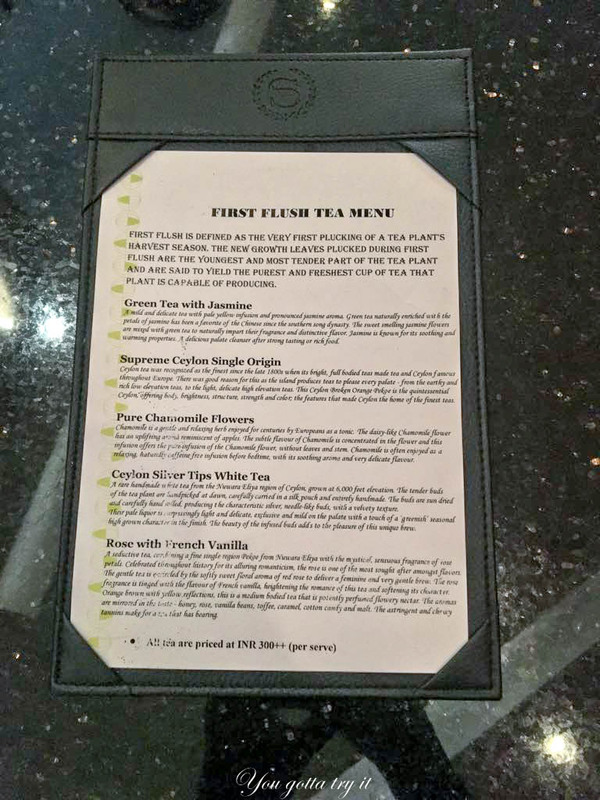 The ‘Sulaimani tea with the Rum twist’ was different and good. 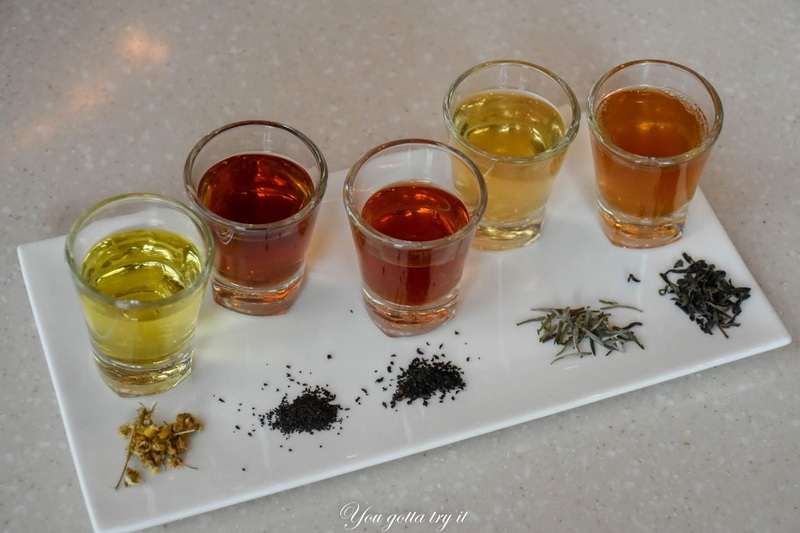 Good for this season and also for the sore throat issues. I liked my Adrak ki Chai (strong Ginger tea). Oh! 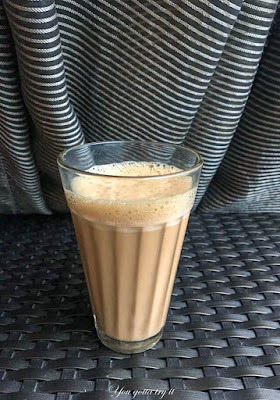 I am that person who cannot live without my morning and evening tea even if a Sunami hit the door. 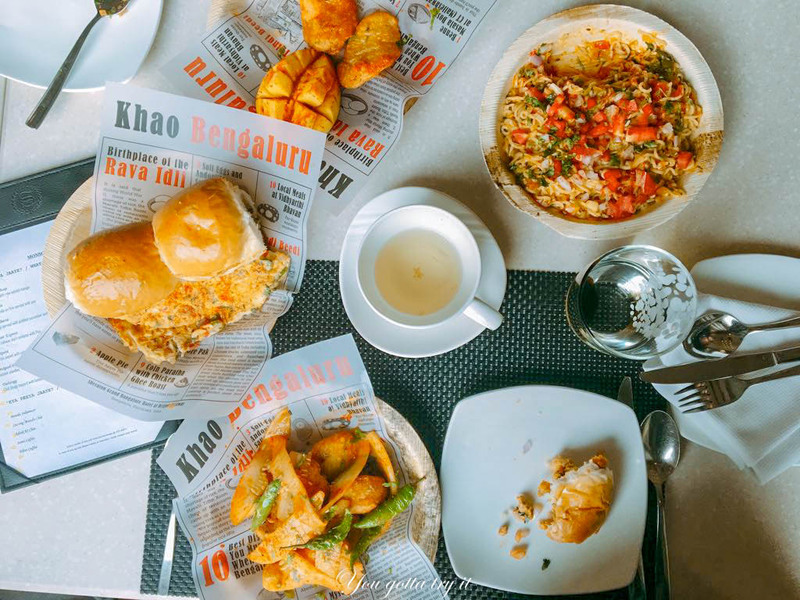 Every dish was well presented and the usage of printed butter paper will give you a nostalgic feeling. 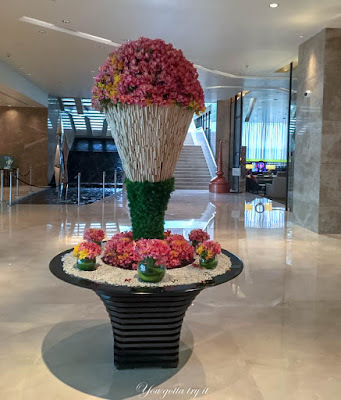 My experience at Sheraton Grand was extraordinary this time and took me to 90’s memories. I wish I had a time machine :P The Monsoon special menus are available till 31st July and #yougottatryit. 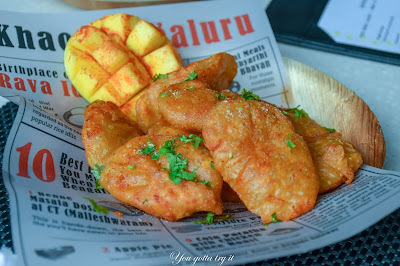 The menu is priced at ₹300 ++ (per serving).